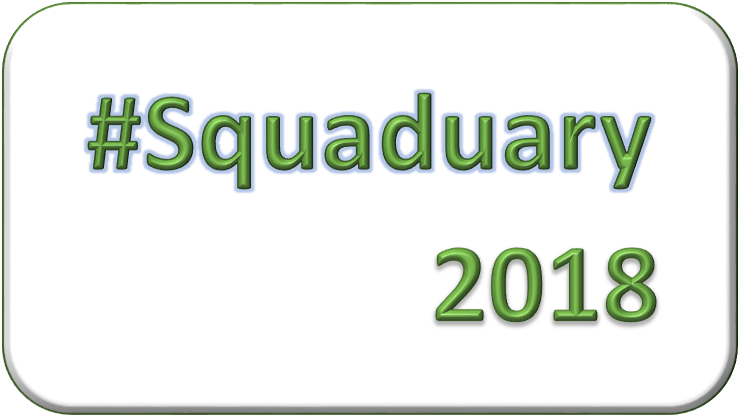 This is the first week of my first #Squaduary event! 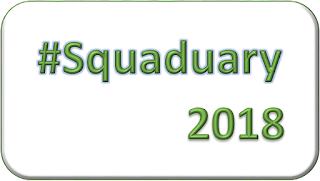 I am super excited to be participating. I am glad to be taking a break from the marines to go back to my roots with some genestealers. 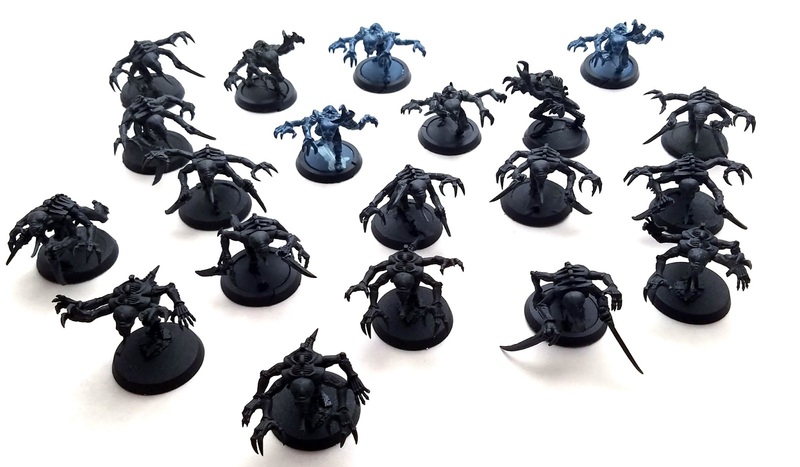 Right now I have twenty "painted" genestealers. I say it like that since they are one of the first models I painted when I got into the hobby. The are spray can painted blue (the wrong color) with green claws and some other bits picked out.I always want to go back and redo them but I have so many other project going on it is hard to go back. 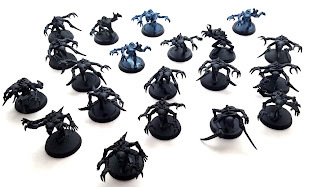 This month though I am going to be adding twenty "new" genestealers to the fold.Again I have to use air quotes since really only eight of them are actually new. 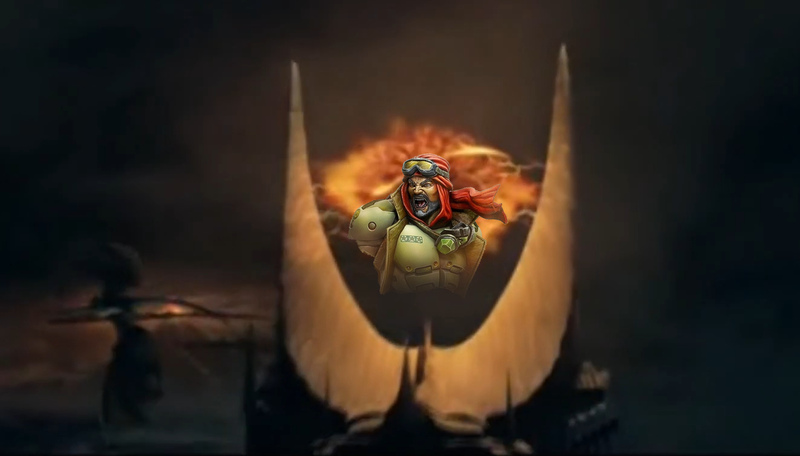 Let me break it down. Two are rescruses from the bottom of my bit box. Four are from the Overkill box set. Six of them I dug for out of the bit boxes at LVO. Finally, eight of them are brand new, bought with Christmas money. I gave these all acid maws. 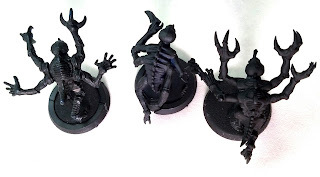 While digging through the box at LVO I was not looking for just any old genestealers. I wanted either the Overkill ones or the old 3rd edition ones. I ended with six of the third edition models. Looking at these models you can see the variation on how they made the back. The overkill variation looks to be a cross between these two so having a good mixture will help blend them all together. To complete this weeks tasks I had to make sure they all were on 32 mm bases. I have some base extenders just for this reason. And there you are Week 1 is in the books. Next week is getting the basic colors on them. I will be happy if they are all the base blue. Question? Comments? Nom nom noms!